Ed & Melanie have two wonderful Cavachons from Silver Paw Cavachons! Thanks for sharing their photo! 1st cousins from Fergie/Hurley and Molly/Buster. These are beautiful examples of adult Blenheim and adult Tri color Cavachons. 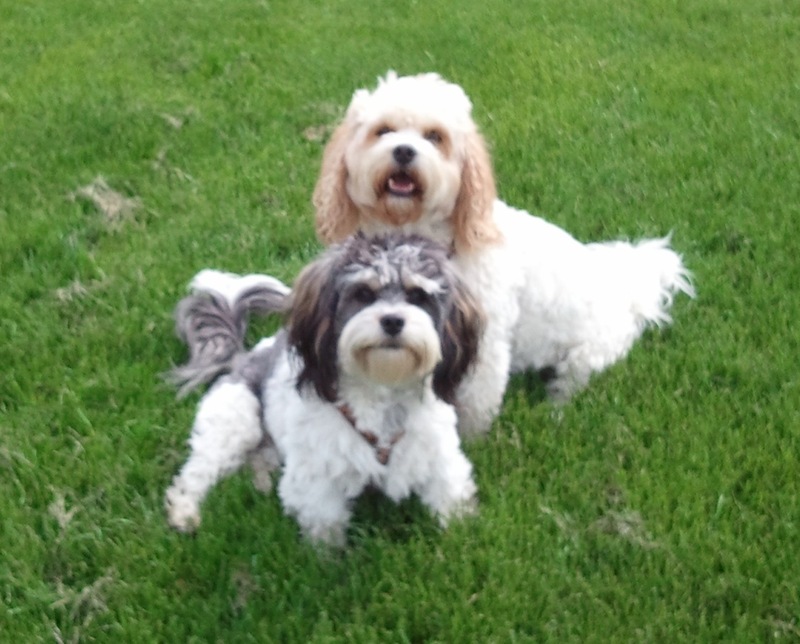 This entry was posted in Adopted Puppies, Adults, Blenheim, Buyer Feedback, Cavachon, Tri. Bookmark the permalink.